Last April, when Los Angeles Rams head coach Sean McVay was the newly-crowned NFL Coach of the Year and his team acquired several key players through trade and free agency, putting them in position to be strong Super bowl contenders in 2018, McVay leaned heavily on something he learned from New England Patriots head coach Bill Belichick – his counterpart next Sunday in Super Bowl LIII. That’s not the only connection between the Super Bowl LIII coaches. In 2014, the Patriots went down to Washington, D.C., for joint practices with the Redskins. McVay, who was the Redskins offensive coordinator at the time, told reporters this week that he learned a lot during that time from both Belichick and Patriots offensive coordinator Josh McDaniels, and that he has remained in contact with them ever since. 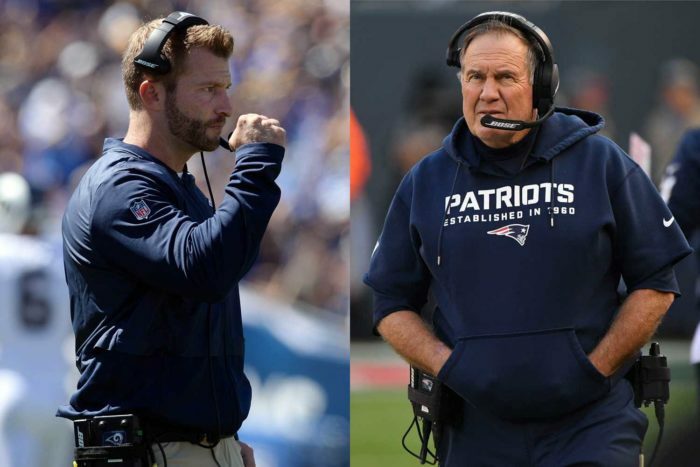 • Super Bowl LIII will be the first time that Belichick and McVay are facing each other with both as head coaches. While their encounter in 2014 was simply practice, they did meet in 2015 with McVay still offensive coordinator of the Redskins. The Patriots won, 27-10, in New England. McVay certainly didn’t have the offensive weapons then that he does now with the Rams. It was actually 27-3 until Kirk Cousins threw a meaningless TD pass with less than a minute to play. Ironically, the Patriots lost in the AFC Championship Game that season to the Denver Broncos, stymied by a dominant Denver defense that was run by current Rams defensive coordinator Wade Phillips. • On Dec. 5, 1976, the New York Giants beat the Detroit Lions, 24-10. On the Lions sideline was assistant special teams coach Bill Belichick. The Giants’ head coach was John McVay – Sean’s grandfather. • John McVay was head coach of the Giants for two-and-a-half years, fired after the 1978 season. His replacement, Ray Perkins, hired Belichick as special teams coach and defensive assistant. Belichick remained with the Giants through 12 years and two Super Bowls. 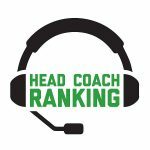 • Not only can Belichick walk up to McVay at the Super Bowl and say, “I once coached against your grandfather,” he can also find Rams defensive coordinator Wade Phillips and say, “I used to coach against your dad.” Three times between 1981-85, Belichick was a defensive coach with the Giants in games against the New Orleans Saints, whose head coach those years was Bum Phillips. • When Sean McVay was born, on Jan. 24, 1986, Belichick had just completed his first season as defensive coordinator of the Giants. • Two days after McVay was born, the Patriots played in their first Super Bowl – losing to the Bears, 46-10.